Message by David Varney in our new series Transforming Community. Transforming Community – a community that transforms, and a concept that transforms our idea of community. Both of these constructions are addressed by St. Paul’s first letter to the church in Thessalonica. The church in Thessalonica was a young church, born out of Paul’s gospel mission a few years earlier in the midst of much opposition from the city. Unlike most other local churches that Paul wrote to, the church in Thessalonica apparently had no major internal problems – no doctrinal errors or moral wandering. 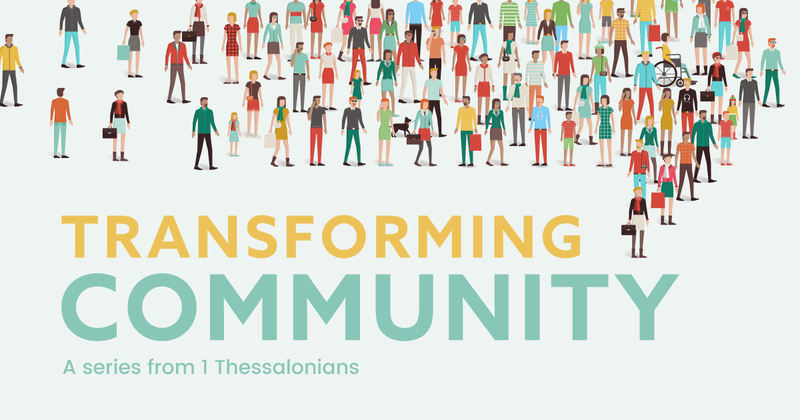 So what we have in this letter to the Thessalonians can be understood as what Paul considered essential teaching for a young, new and excited church.